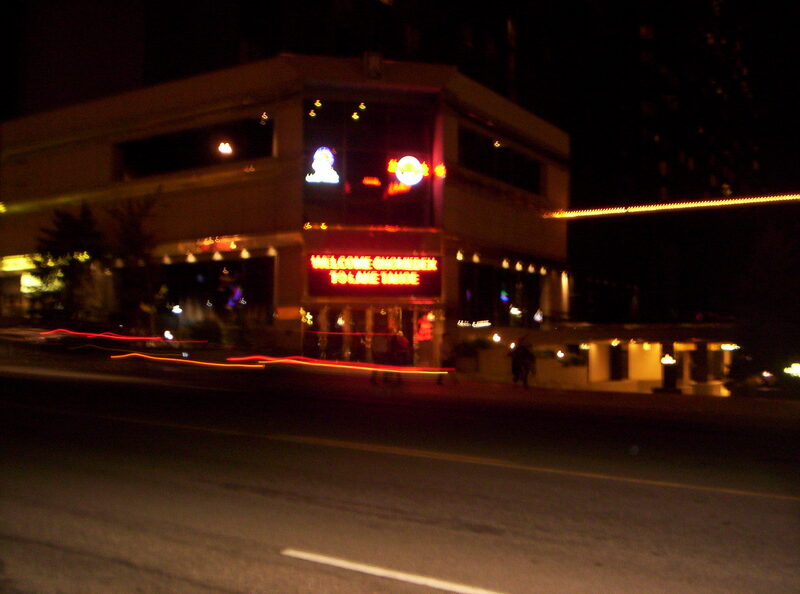 In 2004 – Gnomedex moved out of it’s usual city of Des Moines Iowa – after being given a key to the city and headed to Lake Tahoe. Gnomedex 4.0 was held at Harrah’s Casino. This was my first time ever stepping foot in a casino. I ventured into several during that trip. I tried to get a good photograph at least 3 times with no luck. My camera wasn’t highend and I couldn’t pick proper settings to get a better shot. This was my first and only time being in same room with Steve Wozniak and Wil Wheaton. During this adventure we took a day trip to San Fransisco to visit Zone Labs offices – which have long ago moved. And all these years later – thanks to Tracy Mendibles at Harvey’s Lake Tahoe. A much better version of my photo Root Compromise got the shot I wanted!! Rockin it Out at Gnomedex 4.0! Gnomedex 4.0: Chris Pirillo, geeks, and too much alcohol? VIA Rocks with the Geeks at Gnomedex 4.0!